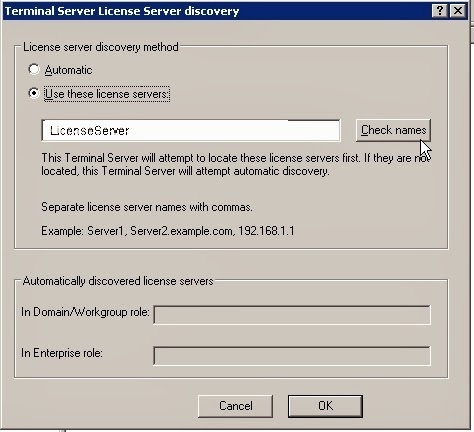 Previous post explained on how to configure Terminal Services License server for server 2008. 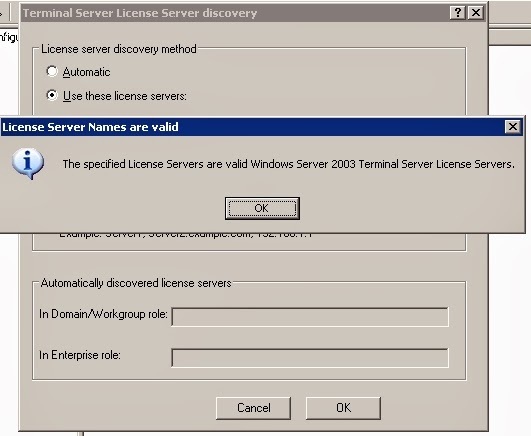 For this time around I will show on how to configure Terminal Services License server for server 2003. Basically, it is more or less the same, just the interface is different. 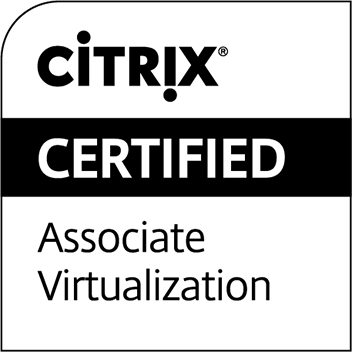 Note that this is for Windows Server 2003. 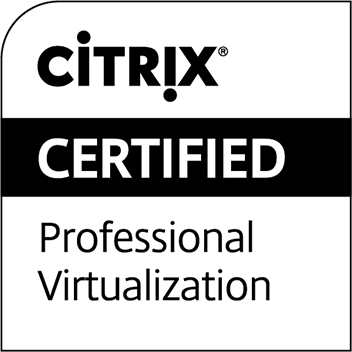 For Windows Server 2008, please go to here. 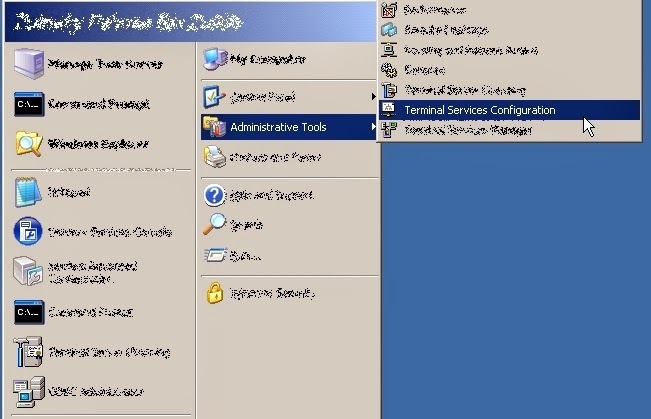 On the left pane, click at Server Settings option. At the right pane, right click at License Server Discovery Mode, and choose Properties. From this screen, put the TS CAL server name, and press Check Names button. Note that you can enter multiple TS CAL server names at one time, by separate each name with commas. if all TS CAL server names are valid, this screen will prompted. Press OK, and another OK to close the previous window.